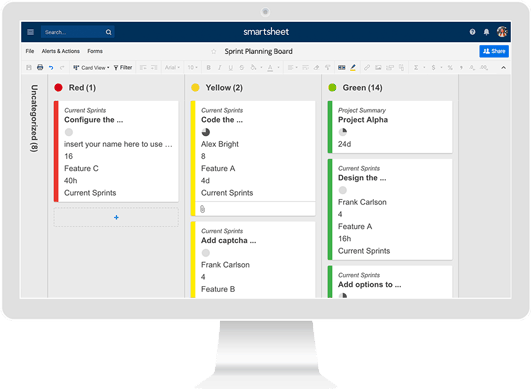 Empower teams across your organization with a highly-visual way to work, communicate, and collaborate in Smartsheet. Card view brings agility to multiple scenarios, to increase speed and performance. 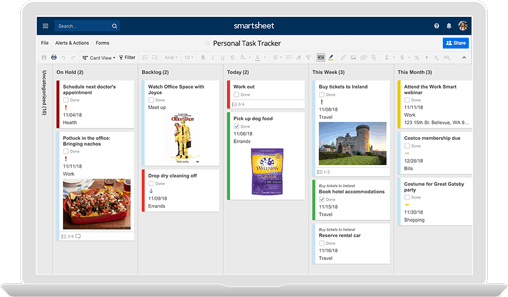 Card view is available to Smartsheet users at no extra cost. Increase visibility into the IT ticketing process to ensure requests are fulfilled. 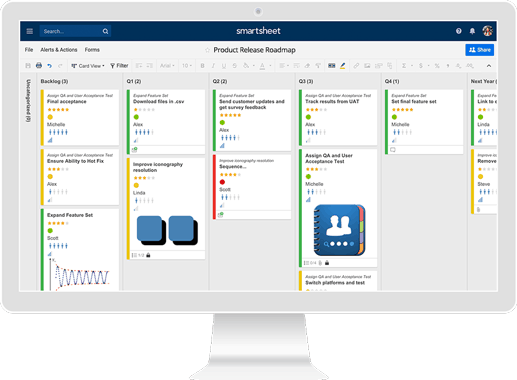 Help marketing and product teams align to easily meet delivery targets for new products and features. Visualize, prioritize, and take action on your to-do list. 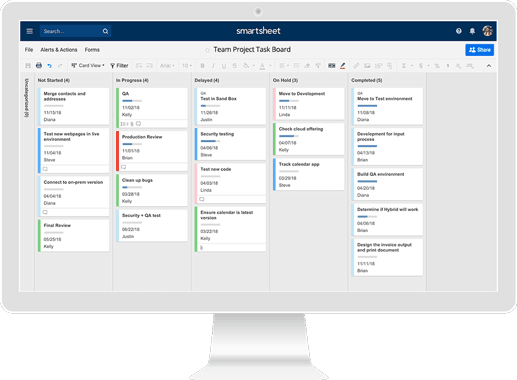 Provide a visual way for Agile teams to manage their projects. 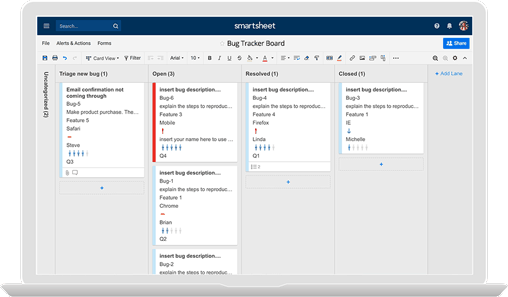 Create a more visual way for teams to track and manage bugs. 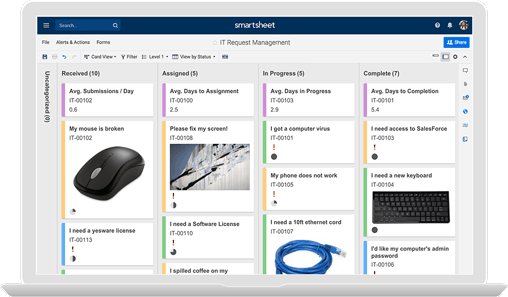 Stay informed on the progress of key initiatives across teams, projects, and processes.